Discussions on big data and analytics have shifted from piloting, to getting value from full deployments. Here are some lessons from early adopters. 'It is like replacing a shotgun with a precision pistol,' says Ross Patterson on the power of analytics. 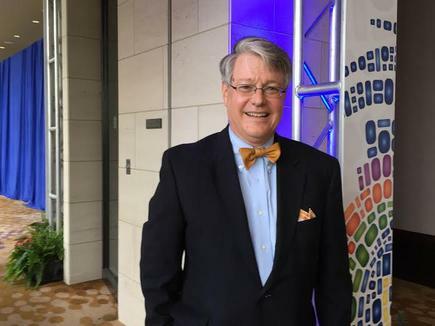 "We are now in the age of the ‘New Know’, innovation powered by analytics,” says author and futurist Thornton May. Early this year, May interviewed more than 100 CIOs across Europe, North America and Asia Pacific on their views on the characteristics of the modern IT organisation and where the CIO role is heading. “What came out on top was that treating data as an asset defines the modern IT organisation,” says May, who conducted the research as president of FutureScapes Advisor. “Having a facility with, and being supportive of analytics, and creating a culture around it is the element of success for the future,” says May. He says each executive interviewed was asked if they had an official endpoint to their organisation’s digital journey. Fifty-seven per cent said they had one, and of these 85 per cent stated their endpoint involved mastering analytics. May says in this environment, speed is the second most important element defining the modern IT organisation. As he states in the report published by SAS, IT is being pushed towards ever shorter delivery times and asked to deliver things a lot faster. “The modern IT organisation cannot be perceived as being slow, or as being behind. The shift towards digital augurs well for the CIO role. “In a world that has gone totally digital, it is all about data, information content and knowledge,” he says. The person responsible for this, the CIO, is going to be more important. In a world that has gone totally digital, it is all about data, information content and knowledge. Stereotypes persist around the role, as CIOs are being told to learn how to talk to the business, he says. Yet the CIOs he has worked with do not fit this mould. “They understand the business better than the business,” he states. CIO New Zealand talks to business leaders who embody this approach. Dr Ross Patterson, a partner at Minter Ellison Rudd Watts, recalls how he got into building a startup in 1998. He had moved to the Sydney office of the law firm and discovered Standards Australia had launched the Australian Standard on compliance programs. The Standard required that a compliance program be integrated into day-to-day operating procedures, that all components had to be systematically recorded and there will be adequate internal reporting, monitoring and assessment systems. 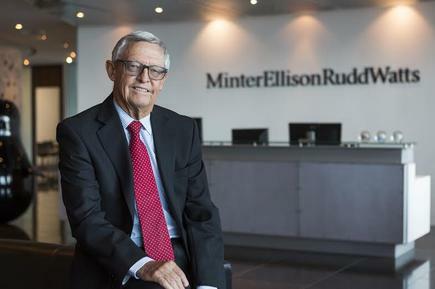 One of Minter Ellison Rudd Watts’ clients asked the law firm to prepare a practices compliance training program, which was to be delivered as what was called in those days computer based training or CBT. What the company had in mind then were CD-ROMs. That led the law firm to develop Safetrac, an online legal training, management and reporting system. Safetrac was launched in July of 1999, an 18-month production that Patterson first thought would only take half a year. Patterson says one of the challenges then was convincing anyone that something online was reliable and trustworthy, as it was a new technology then. Fast forward to 15 years and he says the learning development systems online are now widely accepted. By the time he left in 2007, the courses the company offered had grown to 36. Safetrac was also used by 56 companies ranging from small, medium and large and across a variety of sectors from financial services to local councils. 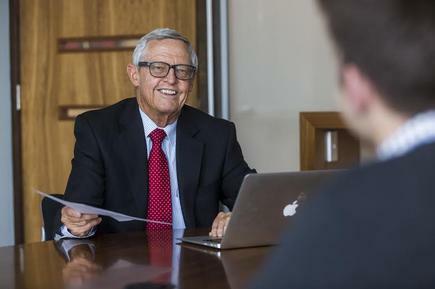 When Patterson returned to the law firm last year, he noted the benefits the Australian clients were getting from Safetrac were not available to New Zealanders. So New Zealand courses were developed to be delivered over the Safetrac platform. Apart from providing core compliance courses, the New Zealand courses now include specialist courses like directors duties (general principles and listed companies), anti-bribery and corruption, and business ethics. Safetrac also produces bespoke compliance training courses on topics such as code of conduct and induction processes. One of the big challenges when the firm started the program was the huge investment in time to develop it. “You have got to create a cultural change of lawyers doing work that is actually creating a product that will generate revenue in the future but is not going to be this month. There was a general counsel who liked delivering face to face courses around Australia. But, as Patterson points out, “The real value of Safetrac is in the analytics and the back-end reporting which face to face does not give you. “At best, you have a piece of paper that someone ticked that they attended the session. With a bit of luck that might be on file,” he says on the paper based recording system. “So the scenario I used to paint for the general counsel is this: Assume your CEO is on the phone. He said he has just heard there is a story about to be published about some employee of the company having done something he should not have. With an online program, however, all components are systematically recorded and there will be adequate internal reporting, monitoring and assessment, he says. “I always call the training the employee sees as the front end, and the back end is all of the analytics and the reports delivered to the counsel. Patterson says one of the interesting things that came out of Safetrac is that a number of companies do it not only for legal compliance training but for their own internal code of conduct policies and Internet policies. “They were able to find out from the reports they got where their policies were unclear, where people clearly did not understand them, because of the questions they asked. You can fix them in that sort of continuous feedback loop. I always call the training the employee sees as the front end, and the back end is all of the analytics and the reports delivered to the counsel. “You get reports that show the pass mark for each question in the test so you can identify people having real problems understanding this issue. And this is when you do your face to face training in relation to that specific element which has been identified as being a problem. “I used to say it is like replacing a shotgun with a precision pistol,” he says. “You can focus on the area that is of real risk to the organisation. The data shows which ones need face to face training. “This is really just the beginning of being able to offer clients a whole range of different services in a much more cost effective way outside of the traditional [process].